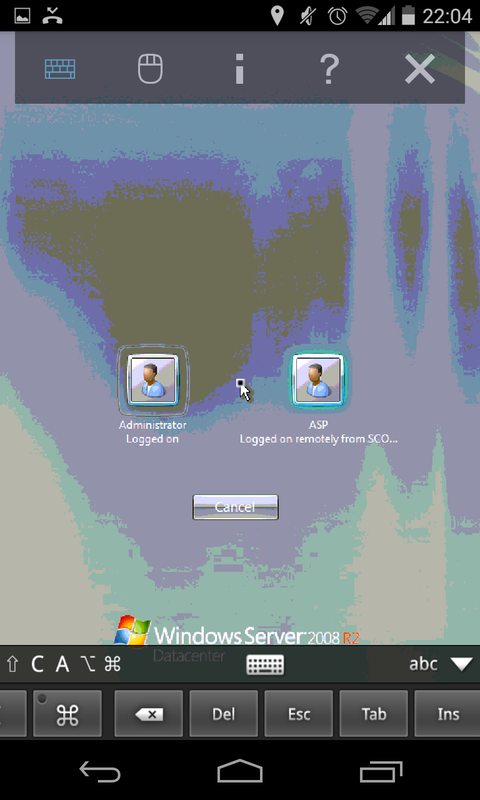 I run a windows server 2008 which I connect to both via VNC and via remote desktop. Yesterday I noted when I connected to it via VNC that another user was logged in. See images. I have no idea what ASP is. It seems to be a guest account when I looked it up in accounts as Administrator. I have no idea what "SCOOTER-PC" is. I tried my usual passwords to log in as the ASP-user, but these were incorrect. I have not seen this before, and as I just recently started using remote desktop I figure it might be that that session somehow is still being active. the steps you should take is to immidiatly make a IP scope for the remote desktop and VNC application in windows firewall so only the IPaddress of the remote (or LAN if its in the same network) should be able to acces this! Also, the user ASP should be deleted at once, be sure to run antivirusses like Malwarebytes and install updates to make sure there isnt a keylogger, and change the passwords for the Admin (and all other users if there are any). 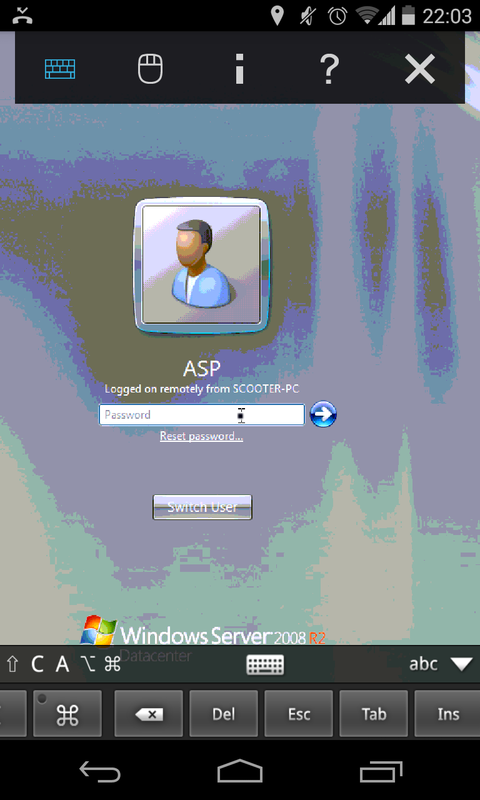 Is it possible to modify the last time a user logged into Windows? How can I determine whether Remote Desktop hacking was successful? AD-DS: Why Hide the last logged on user?